Click Here to Call us today!!! 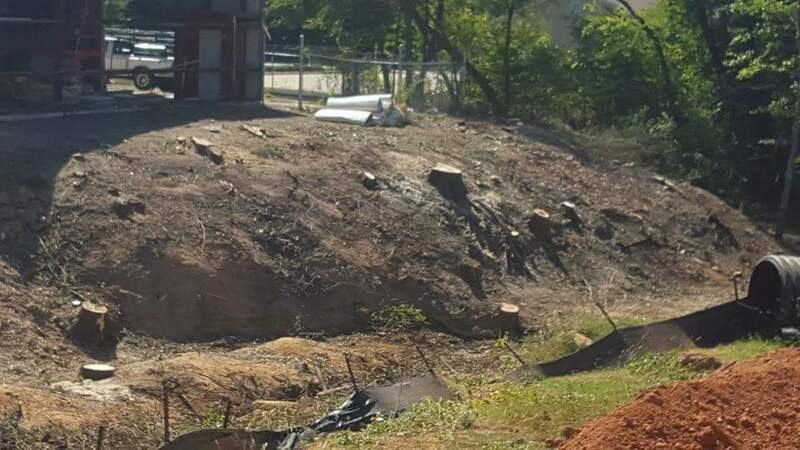 We are your local favorite Tree Service Company in Tyler, TX specializing in challenging Tree Removal, Trimming, Stump Removal work at affordable prices by group of guys that's been working together for over a decade. We are master tree climbers & certified arborists to provide full spectrum tree care from deep root injection, disease prevention, proper tree pruning, cabling & bracing, & More. We take down big trees much faster than your typical tree company because we value your time and work hard to finish the job quickly & safely. We understand the use of our loud equipment can be a nuisance to your life & neighbors. 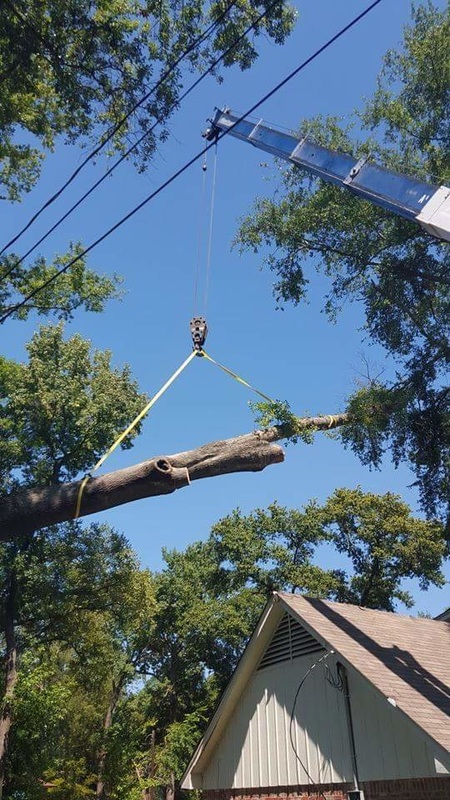 This is why through the years we have trained a crew that are very good at what they do to ensure that your big trees get taken out faster than you ever imagined that will surely impress you. And we clean up afterwards, leaving no trace of there ever being tree work done, your unwanted trees are gone as if by magic! ﻿25 Years Experience:﻿ The owner of this company has over 25 years experience but what also makes us so great is that we have a close group of crew members that's worked together for over a decade which makes our tree work run smoothly. 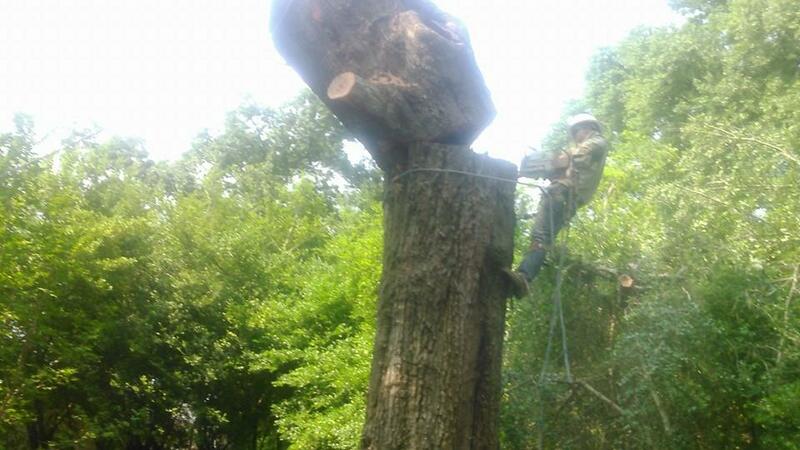 This was not always the case as finding great tree climbers, trimmer, cutters is very difficult because it is such a specialized skill with high potential risks. We have hand selected the best that Tyler, TX has to offer by paying well and providing great benefits, some of our members came over from other companies because we want to be the high-end company that has the best people doing tree services for you. Insured: All of our crew members must be insured. We have made this the mandatory standard in the company years back and have never turned back. 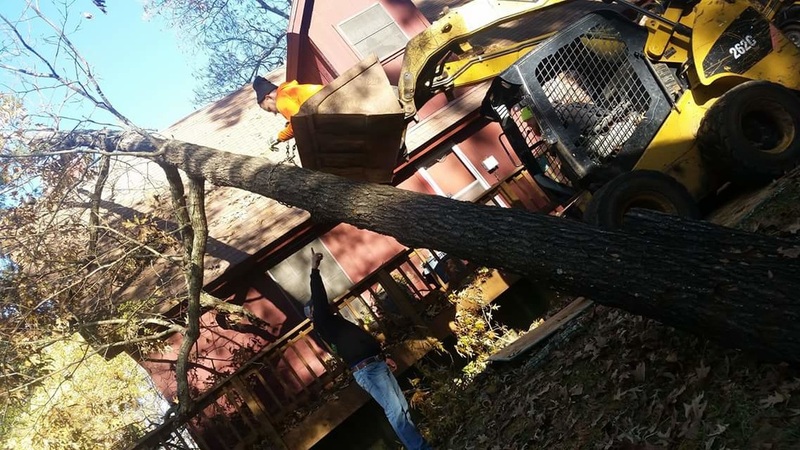 Being the best tree service Tyler TX has to offer means we have made sure that the homeowners are receiving the most legitimate crew that respect the profession as something to be taken seriously, because we are aware it ranks as one of the most dangerous jobs in the USA, so we make sure not only the homeowner is protected in case of accidents but our crew members are as well. Look we say we can handle any size jobs which we can, but that doesn't mean we take on any job lightly or because we are desperate for jobs, quite the contrary when we give quotes for these jobs we take into account the proper & safe way to do the job. We are Very Honest & Fair with our Quotes: We believe one of the main reasons why we are loved by many is because homeowners can easily tell we are very honest when it comes to our quotation of various tree care service. If a tree does not need to be removed, we will be honest about it and suggest a simple tree trim job that will save you lots of money. We are more interested in keeping our customers happy, and this includes quoting a very fair price every time NOT trying to reap as much profit as possible per each job. We rather make smaller margins and get a repeat customer for life. As local guys that grew up in Tyler, TX we feel a sense of duty to fulfill great customer service to our community so we want to keep the tree removal costs as affordable as possible for you guys. 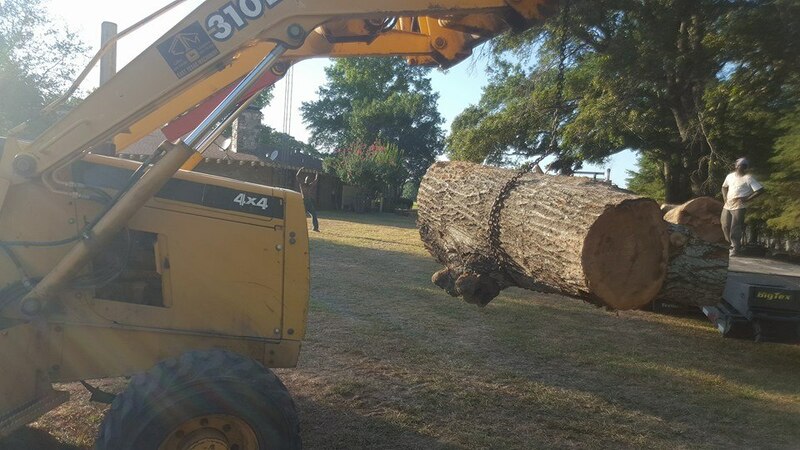 We have the best equipment that gets the job done fast: We are one of the biggest tree care company in East Texas, we have commercial grade equipment and high-end chainsaws that allows us to cut through big trunks like butter and haul off massive tree chunks rapidly. Whereas a smaller tree service company would need to cut the tree up into small firewood sizes so they can be picked up by hand, we use big grapple trucks that can lift much bigger pieces which gets the job done in fraction of the time. This ensures your prices remain low and your tree issue is resolved sooner rather than later. We are talking about couple hundred thousand worth of equipment that normal companies don't have. Our Passion that drives us to be the best: In the last 10 years we have grown from running with 1 crew to 3 crews at once that can take care of several projects at once. We have purchased over quarter million dollars in new equipment. We continue to hire new staff and purchase even more high-end equipment that gets the job done more efficiently. We are the fastest growing tree service company in East Texas, and this does not come without having a lot of passion for this profession. We love this business and we love what we do. 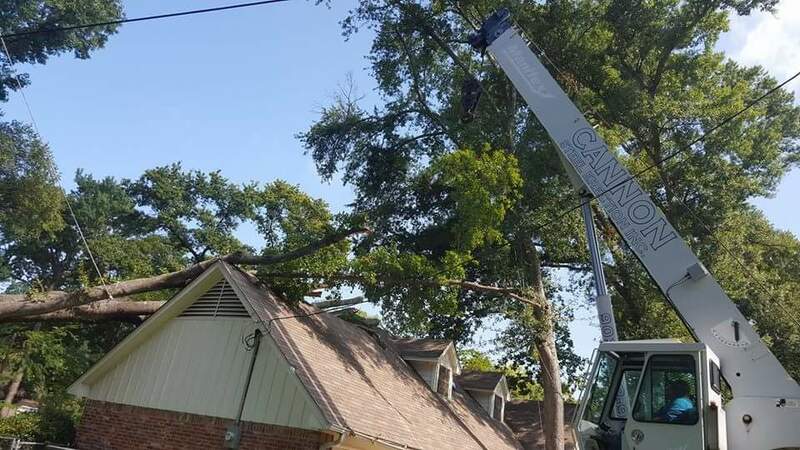 While lots of tree care companies in Tyler, TX would rather remain small family operated business with 1 crew, we strive to get better each year while still maintaining close family oriented approach that puts local customer service at the forefront. "I used these guys for a big project of removing 5 tall pine trees and I was very impressed by how quickly they took care of business. They seemed very skilled and I felt well taken care of, thank you." Janet D.
"We have a tree over hanging the roof and was pretty nervous about getting it taken out but the owner of this company explained how safely the procedure will be thoroughly, made us feel comfortable and they did just that by using ropes and other skills, now we have peace of mind" Mark F.
We take all the National Arborist Association training on becoming a professional tree climber that allows us to save money if lift trucks are not needed or able to reach hard to reach places and dismantle a tree so fast it'll make your head spin. We are passionate about tree climbing and all the crew members have been doing it for over a decade, giving each tree the personalized attention that it deserves because every tree is different from the last. 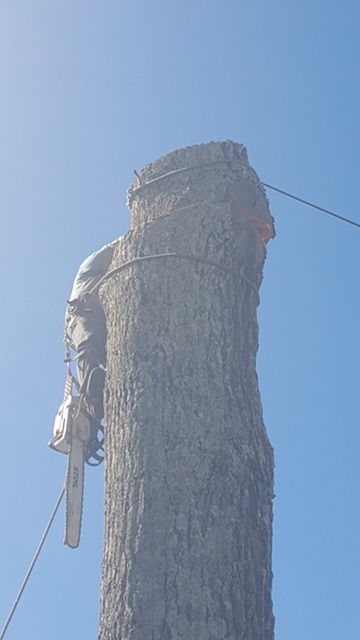 Some trees could be diseased and half way rotten inside, so this line of work keeps us on our toes everyday and our master climbers are ready to handle whatever situation you have at hand. 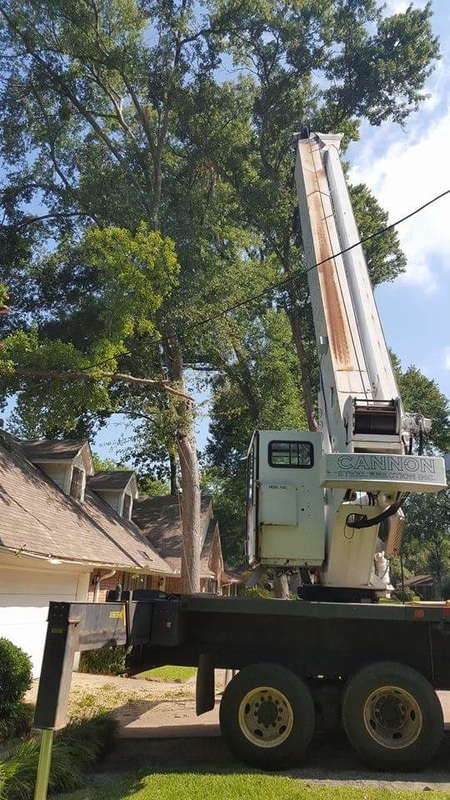 We can take care of emergency or challenging tree removals that sometimes will require climbing up to branches over looking the roof and roping the branches away one section at a time. Count on us to do the job for you very effectively. 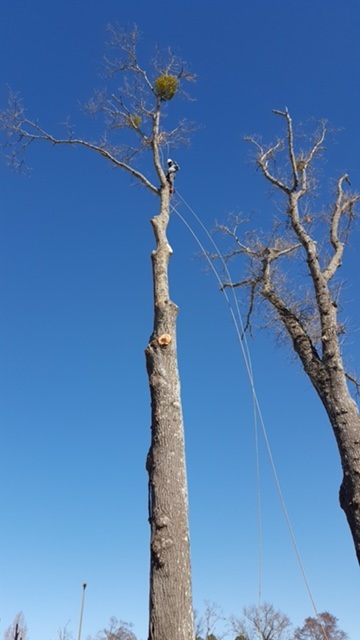 We are passionate about tree service and our crew has been together since the beginning, so we are all very experienced & good at what we do and because we worked together for a long time, we have great team work that allows us to get the job done faster than most tree service companies in Tyler, TX. We are hardworking people that wake up early everyday and enjoy being outside and doing what we do best, which is taking down big trees and taking on challenging jobs other companies walk away from. 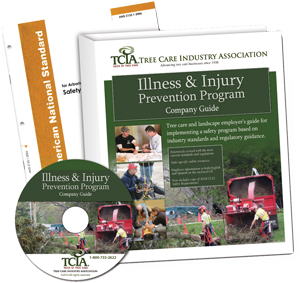 We take official training to become certified arborists & master tree climbers and keep all the various safety manuals you see above on hand. When we come give you your free estimate, you will be able to tell just how knowledgeable we are about arbor care, it is that one area of expertise we feel very confident and proficient at. We give our new customers consultation on tree care, answering such questions like is it possible to save a tree that is half dead? Is it possible to reverse diseases and return the tree back to health? Such questions will require an expert to come look at the actual arbor in person which we will be happy to do for you. Some companies claim to be tree guys but then there are true arborist that can sometimes give you a completely different diagnosis of your current situation.